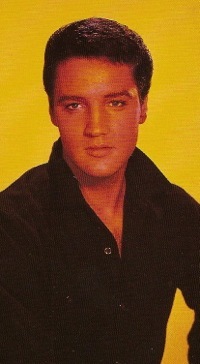 In Careless Love: The Unmaking of Elvis Presley, biographer Peter Guralnick reported that singer Johnny Rivers musically sucker-punched Elvis by rushing out his version of “Memphis” in 1964, when he knew Elvis planned to release the same song as a single. 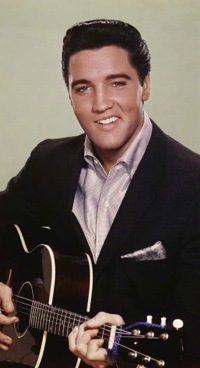 Guralnick had interviewed Rivers and knew his side of the story, but chose to believe some of Elvis’s “boys,” who claimed Rivers had blindsided Elvis. Johnny Savage, a DJ on KALX Radio in Berkeley supports Guralnick’s view of the Rivers incident. “At issue is not the province of the Chuck Berry song itself,” Savage claims. “Lonnie Mack had a hit with an instrumental version less than a year prior, in 1963. At stake was honor and trust. “Elvis was proud of his January 1964 re-recording, and house visitor and new pal Johnny Rivers made it clear he was enamored with it, by asking Presley to play it again, and again. 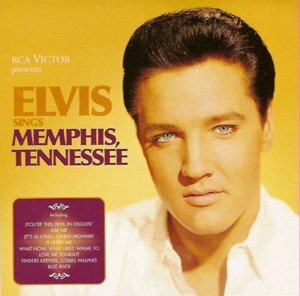 After Guralnick’s book came out, Rivers posted a news release on his web site, expressing “outrage” at the insinuation that he intentionally released his version of “Memphis” in an attempt to steal the song from his “friend” Elvis. He explained that he had been playing the song for years while he was an unknown, struggling musician. 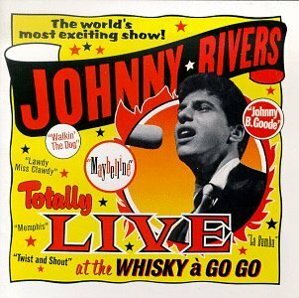 In the end, the whole “Johnny Rivers-Elvis Presley-‘Memphis’” incident boils down to a “he-said, he-said” situation. And there are lots of “he-saids” on both sides. All of those involved in the controversy are subject to bias. Shades of interpretation are certainly in play, and possibly some untruthfulness on one side or the other, or both. Under those circumstances, the ultimate truth of what happened back in 1964 may never be established. As for me, I hope Rivers’ didn’t highjack Elvis’s plan to release “Memphis” as a single. If he did, then his statements on his web site are a pack of out-right lies. I hope that’s not the case. • Was Elvis angry or gracious to Johnny Rivers? Reader Comment: This story ("Johnny Rivers stole"Memphis") is pure poppycock. 2) Two different Elvis books (I don’t recall which ones) claimed that in February 1964 Col Parker decided that all Elvis singles would be from Elvis' movies. "Memphis" was NOT a "movie song"
3) Elvis was NEVER a great interpreter of Chuck Berry (beginning with his take on "Maybelline"at the Louisiana Hayride). "All of those involved in the controversy are subject to bias. Shades of interpretation are in play. Under those circumstances, the ultimate truth of what happened back in 1964 may never be established."